The Boathouse on the Bay – Website Design | ASTRALCOM - Content Strategy, Conversion Marketing and Customer Acquisition. The Boathouse on the Bay – Website Design | ASTRALCOM – Content Strategy, Conversion Marketing and Customer Acquisition. Turning a website design around in less than 45 days is a tough job to pull off. There is a lot of room for errors and omissions and things are moving so fast, they can fall through the cracks. Not so, when your partner is ASTRALCOM. 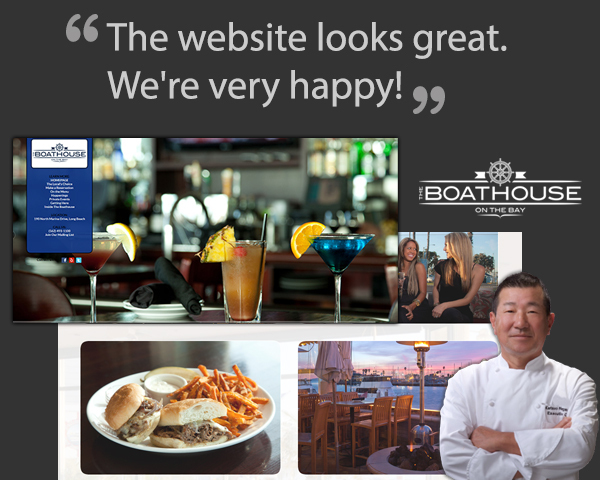 As The Boathouse on the Bay will tell you, it was a fun and exciting experience as we revamped the website, they revamped the restaurant and we reconnected on grand opening day to a full house! Learn more about our website design services and contact us today for a friendly chat.